Forsciandoras first inhabitants date back to Etruscan times. This area was fiercely fought over by the principalities of Lucca, Pisa, Florence and the Este dynasty from Modena, in the 15th century. 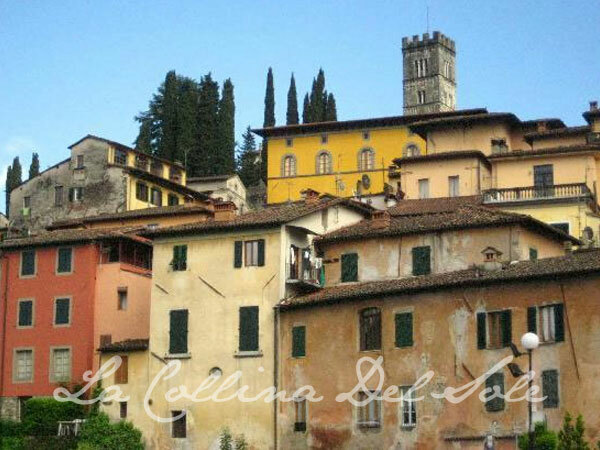 In 1452 Lucca ruled over Lupinaia, Riana and Trepignana, and the Estes of Modena ruled over La Villa and Ceserana. During WWII, this area was again subject to a great deal of fighting, the famous Gothic line [ the line that divided the Germans from the Allied forces of USA and UK, which was fought over for well over a year ] passed through “Le Lama” which is very near Trepignana, the main Intelligence HQ of the Germans were located in the old “Mulino” located in the ridge just south of “La Collina del Sole”, if you get to see it, you will see that its secluded and well protected position was ideal as HQ especially as the intelligence was passed via mirror reflections code from Fiattone. 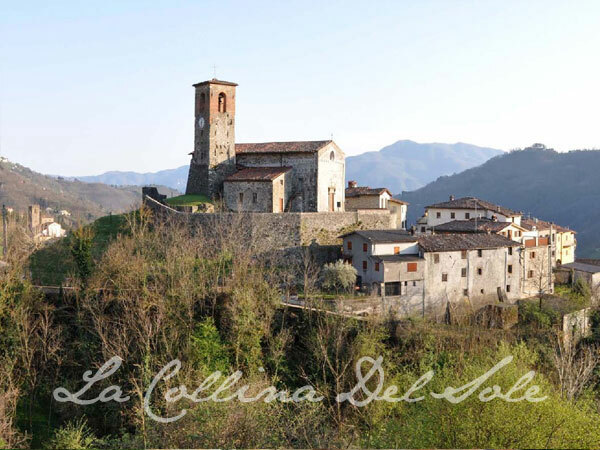 The Allies were based in Barga, when you visit it you will see the many scars of bomb craters on the main church at the top of the hill which is completely built in marble. Just above us! Its fortified walls date back to 1616. Amazing views Lovely walk on the road and cross country. Above Lupinaia are the Prade Garfagnine which can be reached by foot by local Sentieri, these Prade are the home to many Funghi Porcini, and many visitors come from afar to collect the precious mushrooms. 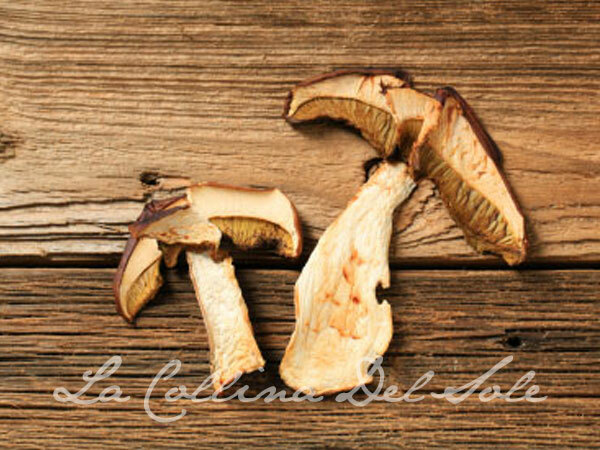 You will notice that the cuisine of the area has Funghi as a central ingredient. The Prade has wonderful views and quiet meadows. If you want to drive by car we highly recommend a 4X4 car, and you will need to start off from La Villa to get there. LA VILLA with lovely views and a central plaza which many of the houses look onto. 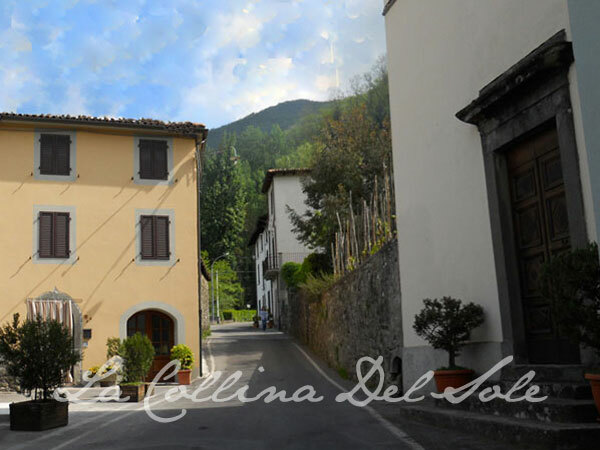 Both La Villa and Ceserana can be walked to by road going from “La Collina del Sole” to Fosciandora, then dropping down and right at the Casa Rosa (which serves as our local B&B) and going through the “Sentieri“ or walkways. CESERANA of particular interest the Rocca di Ceserana or the Fortress of Ceserana; a Romanesque church of Saint Andrea, built on a stone outcrop, the fortress was an important Military garrison and stronghold in the XIII and XIV centuries, it was used to combat the “Salt Pirates” which inhabited the Apuane hills and in particular had their HQ in Fotnovolasco. Salt was a very precious commodity in the Middle ages as it was the only way of keeping things cool and therefore fresh for longer, Gelato which was invented in the Renaissance was dependant on the cooling properties of Salt. The fortress of Ceserana built on a stone outcrop, includes a cave which housed the locals during air raids in WWII and was re-opened in 2008. Stunning views of the Apuane Hills, of particular note is the Romanesque cathedral, with paper thin marble windows, the pulpit and general architecture is lovely. While there DO visit the Gelateria Baiocchi in Via Pascoli Giovanni #15 Telephone + 39 0583 71 1266 which is almost opposite a shop selling beautiful hand painted ceramics, you will be tempted.... we have been! Isola Santa 20 minutes drive from Castelnuovo was once a thriving village, which had a dam placed at its heart, many inhabitants left it, some buildings like a small church were flooded, our friend Gabrielle Matzei re-structured many houses in ii, has repopulated the lake with local trout, and has a lovely bar where he serves amazing food. A great place to see how the locals lived several years ago. From here you can visit a “Henraux” disused Marble Quarry, to arrive leave Isola Santa, and drive towards Arni and the sea, just after a tunnel called “Tre Fiumi” turn in on your right, all our young visitors and fashion stylist visitors have loved this spot.